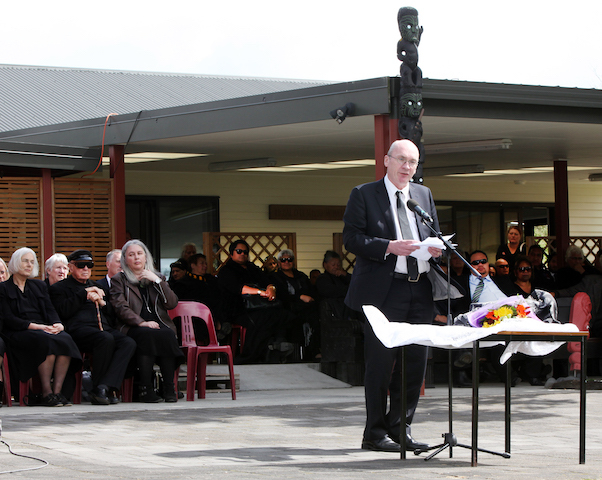 Me maumahara tātou – we must remember. Not lest we forget. We must remember...It has to be that we go forward from a position of enlightenment, of māramatanga. 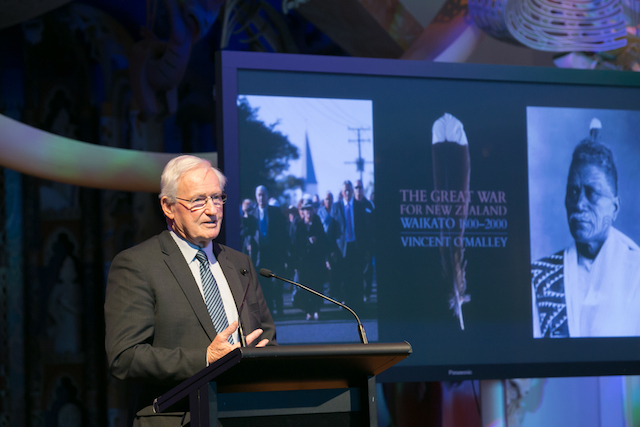 Hailed as the first single-volume history of the Waikato War since 1879, the publication of The Great War for New Zealand by Vincent O’Malley has been met with a nationwide response. 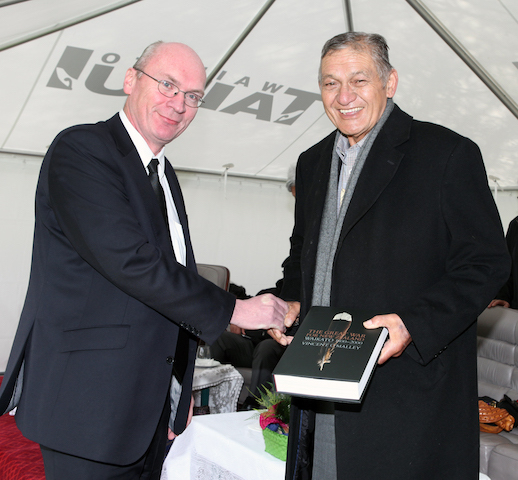 The first official copy was presented to King Tuheitia and endorsed by tribal leaders at the Kīngitanga’s annual Waahi Poukai on 8 October 2016. 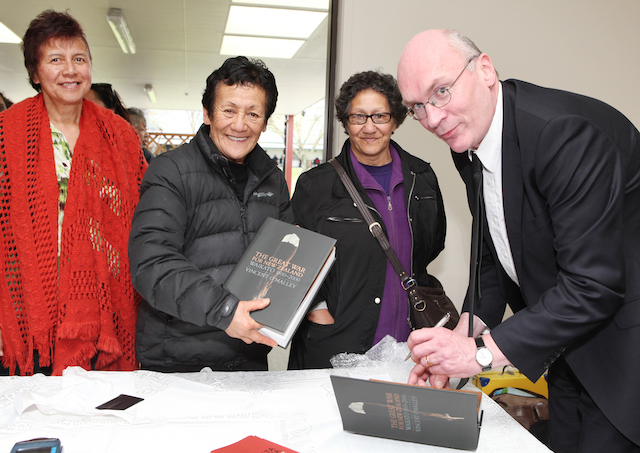 It was only fitting that the people of Waikato-Tainui received the book first. 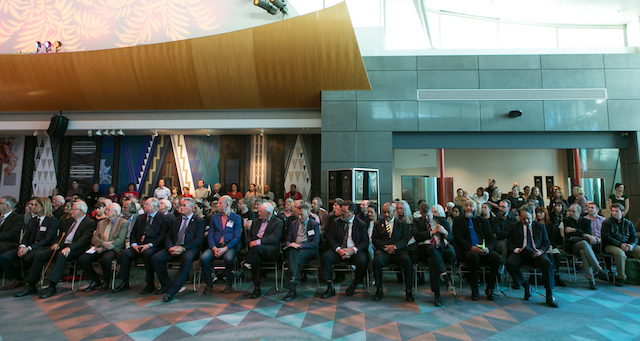 As Vincent O’Malley said during his speech at the Waahi Poukai, it was time New Zealanders learned about the history that Tainui and other iwi carried alone for so many generations. The long queue of book buyers which formed after the official proceedings ended was a further endorsement by the people who are at the heart of the book. 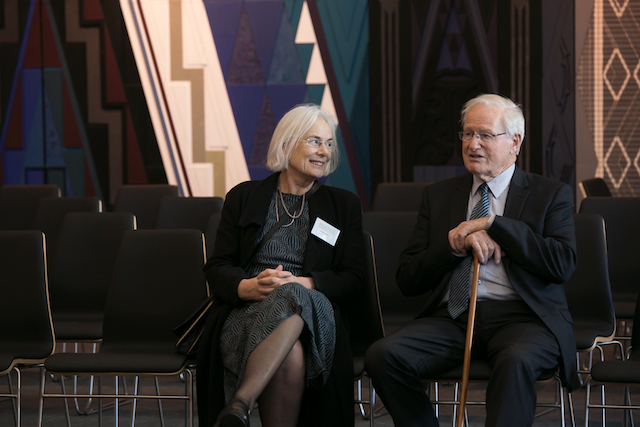 And at the Te Papa event, Emeritus Professor Atholl Anderson, speaking for the Bridget Williams Books Publishing Trust, announced that The Great War for New Zealand will shortly be placed in all secondary school libraries in November, enabled by generous funding from the Freemasons Foundation. 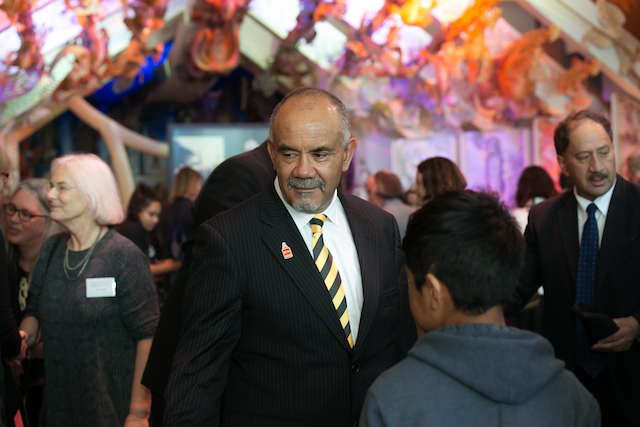 This initiative was applauded by the Hon Te Ururoa Flavell, another of the speakers at Te Papa, who described it as an ‘absolutely huge’ gesture. Young New Zealanders with a thirst for knowledge about their own stories have already recognised the significance of this history. 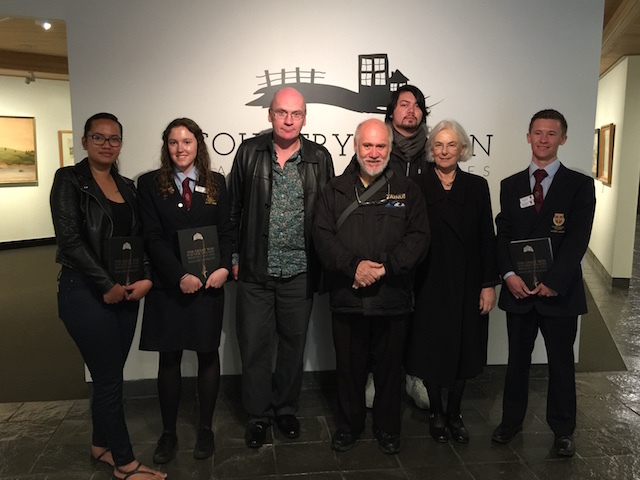 In 2015 Ōtorohanga College students organised a petition calling for a national day of commemoration for victims of the New Zealand Wars, gaining over 12,000 signatures. The Government has since confirmed that such a day will be held, for the first time, on 28 October next year. 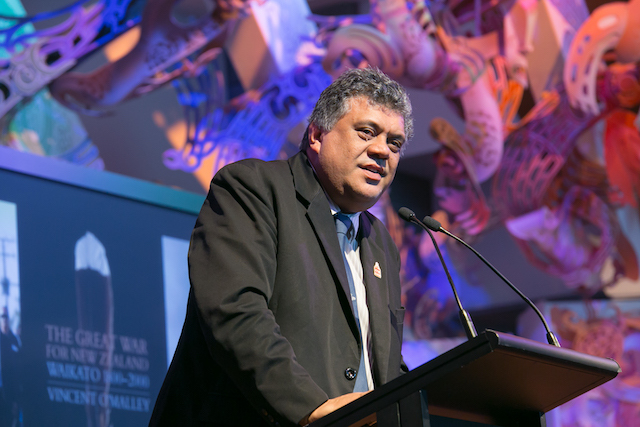 This moving nationwide response to Vincent O’Malley’s book is set to continue with a major event at the Auckland War Memorial Museum on 21 November. 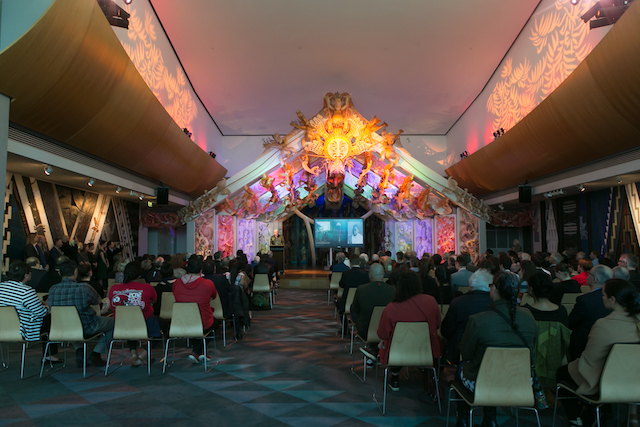 Mihingarangi Forbes will chair a discussion, marking the book’s publication, between Rahui Papa and Tom Roa (Waikato-Tainui) and Vincent O’Malley. This is a public event and all are welcome. Ōrākau and Rangiaowhia, where the school party visited, saw two of the bloodiest confrontations of the Waikato war – a conflict between British imperial troops and the local Tainui tribes that had been fought exactly 150 years earlier (1863-64). It was the largest and most significant in a wider series of clashes that took place in New Zealand between 1845 and 1872 as Māori communities resisted colonial conquest and expansion. For a time in the 1860s there were more British troops in New Zealand than almost anywhere else in the empire outside India. And the Waikato war was the defining conflict in New Zealand history – a battle between two competing visions of the nation’s future. British victory paved the way for settler and European hegemony, casting aside Māori aspirations for partnership and shared prosperity for at least the next century. Instead, sweeping and indiscriminate land confiscations pushed Māori tribes to the margins of colonial society, condemning generations to lives of poverty. That history was barely acknowledged beyond the descendants of those on the receiving end of British bullets. Few students learn about it in school. Many of the sites where these conflicts took place are neglected (many are not even signposted). There were no official commemorations, no museums and few memorials.